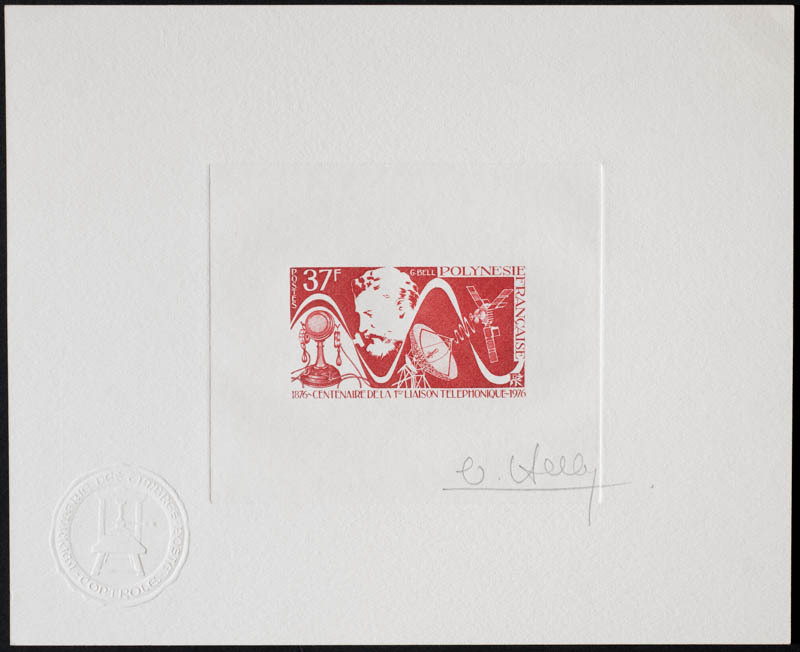 Artist's proofs of approximately 160 stamps from French Polynesia were produced during the period 1960-99. This makes about 960 different color artist's proofs (160 x 26) and about 3,120 total artist's proofs (120 x 26) if we include multiple copies of the same color. 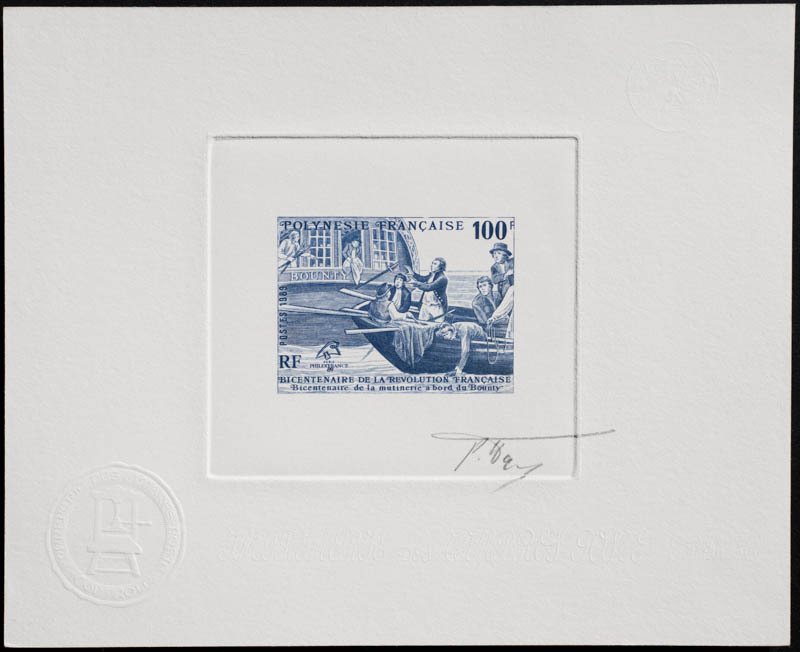 The gallery shows 150 artist's proofs from French Polynesia. French Polynesia produced relatively few engraved stamps compared to the two other French Pacific Islands, New Caledonia and Wallis & Futuna, preferring more colorful offset and heliogravure stamps. However, most of the engraved stamps that it did produce were of high quality. Particularly notable are the eight souvenir sheets produced between 1984 and 1991 to commemorate the international philatelic exhibition held during the year. Bétemps engraved more than 20 Polynesian stamps, including the seven stamps in the sports series of 1969 and 1971, and the ten stamps in the first three series of "The World of the Mahi" between 1990 and 1992. Haley engraved 19 stamps, including the eight stamps of the 1967-68 native art series and the six stamps in the first two series of medicinal plants in 1986-87. Combet engraved 13 stamps, and Béquet, Decaris, Larrivière,and Jumulet each engraved 5-10 stamps.